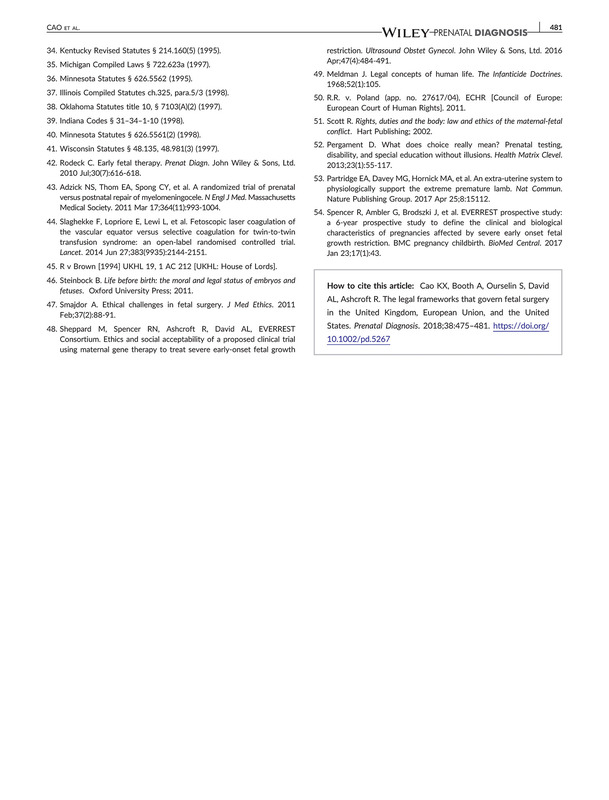 The specialty of fetal surgery or fetal intervention is one of the most exciting emerging fields of modern medicine. 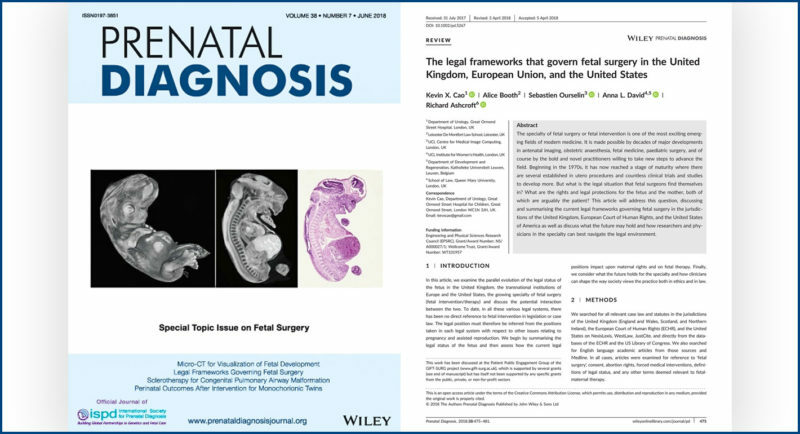 It is made possible by decades of major developments in antenatal imaging, obstetric anaesthesia, fetal medicine, paediatric surgery, and of course by the bold and novel practitioners willing to take new steps to advance the field. 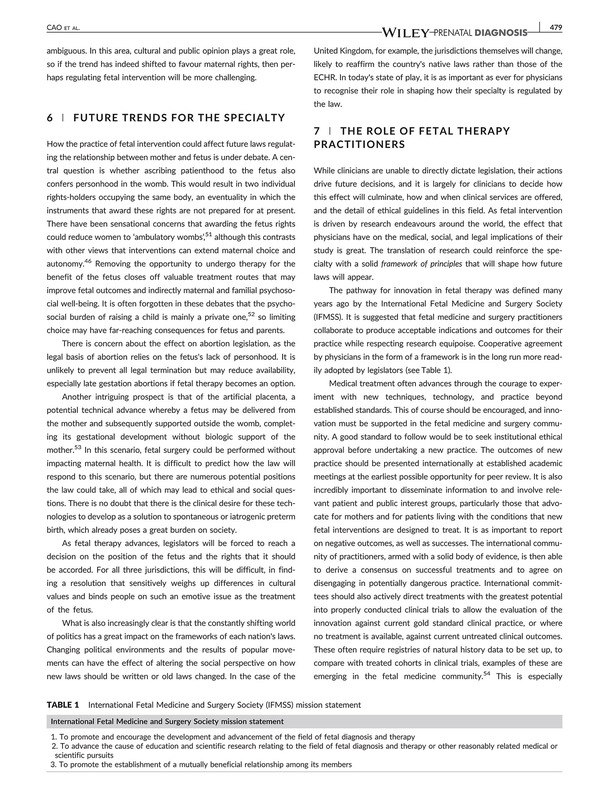 Beginning in the 1970s, it has now reached a stage of maturity where there are several established in utero procedures and countless clinical trials and studies to develop more. 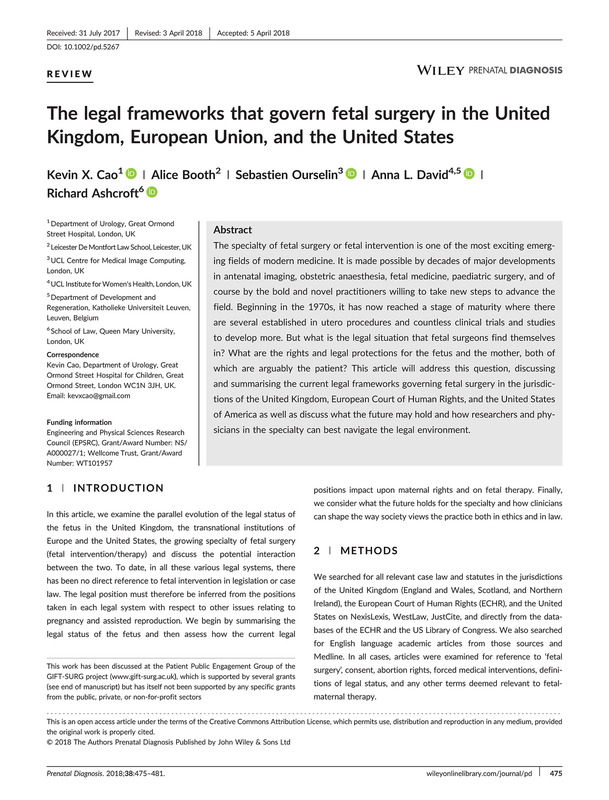 But what is the legal situation that fetal surgeons find themselves in? 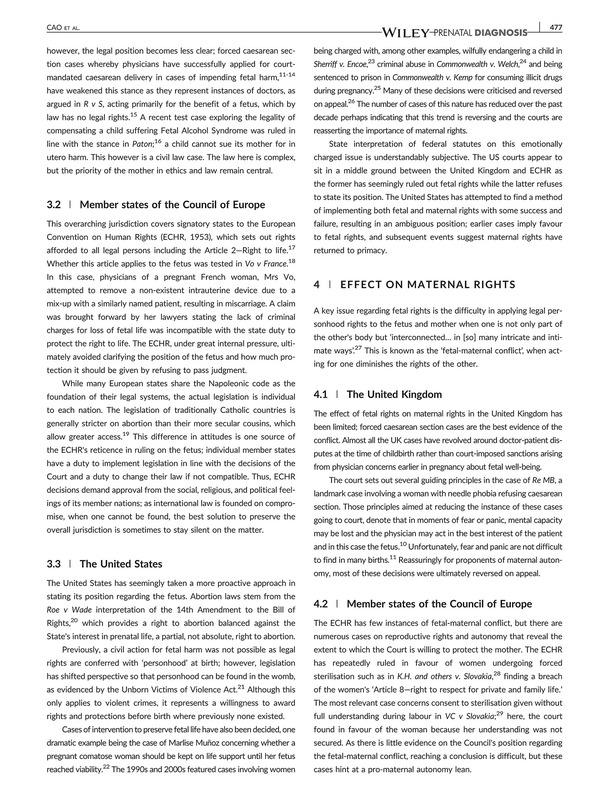 What are the rights and legal protections for the fetus and the mother, both of which are arguably the patient? 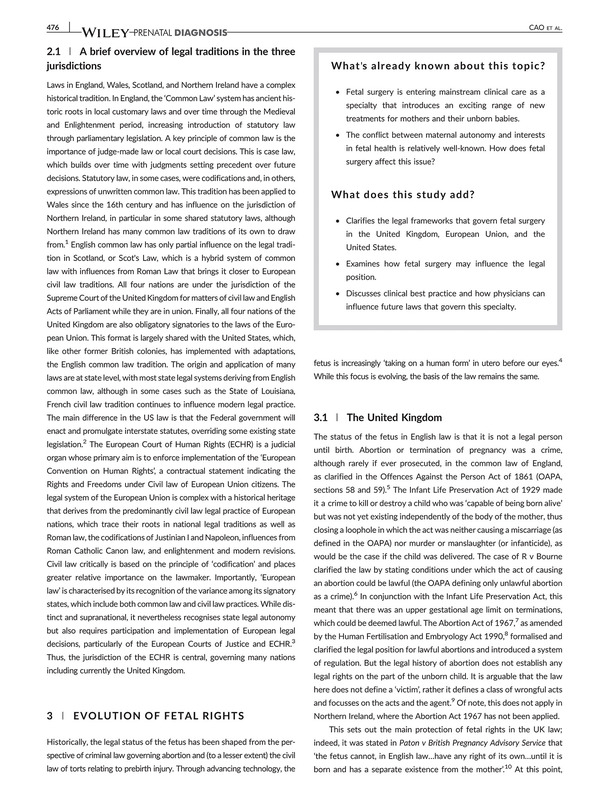 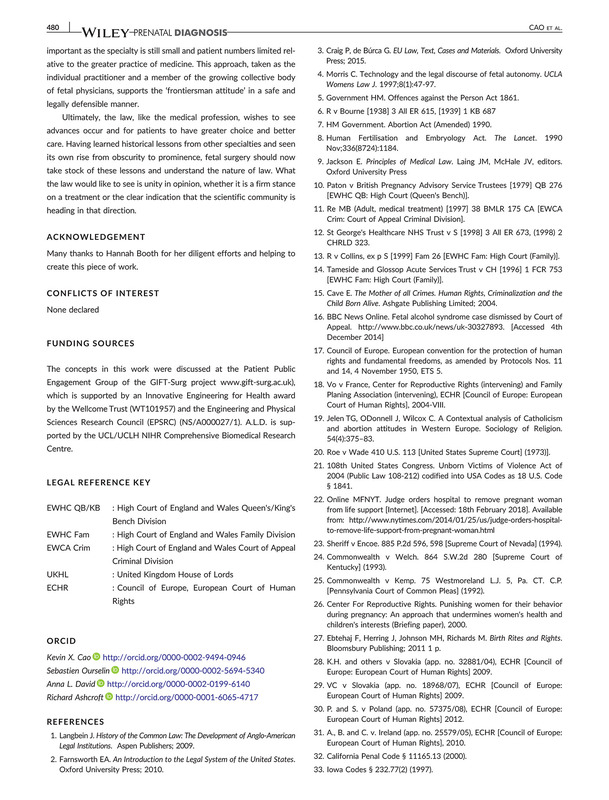 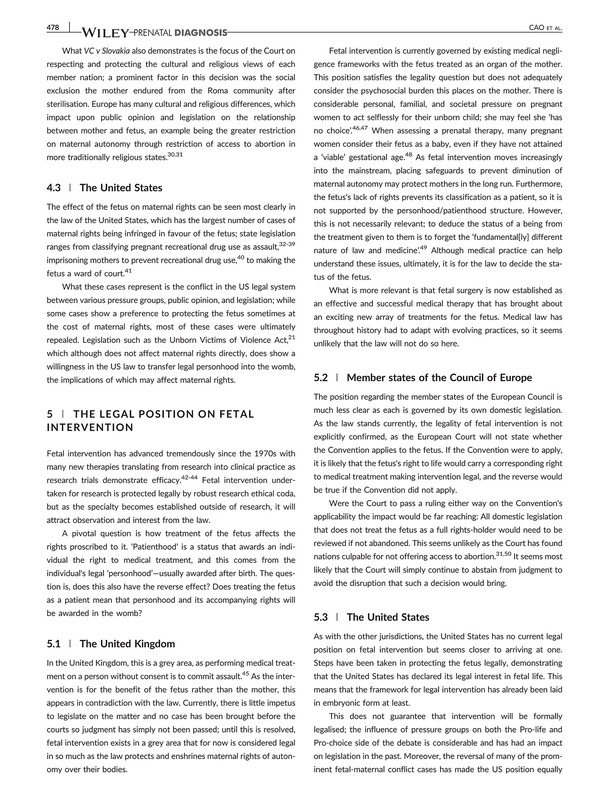 This article will address this question, discussing and summarising the current legal frameworks governing fetal surgery in the jurisdictions of the United Kingdom, European Court of Human Rights, and the United States of America as well as discuss what the future may hold and how researchers and physicians in the specialty can best navigate the legal environment.